I’m an Olympicaholic and was desperate to touch or see an Olympic medal or Olympian during London 2012. Well I did get to see a medal – in fact, I saw hundreds – every single one since 1904 at an Olympic Exhibition at the Royal Opera House. Doesn’t count though does it? 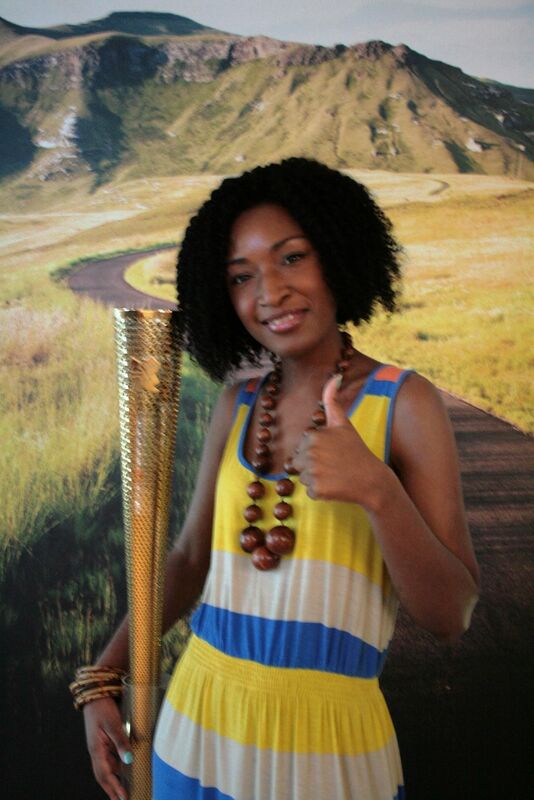 And here I am with Olympic Torch. If the flame had been lit my hair would have been on fire, which would have been fun, no. Thumb aloft in homage to Sir Paul.